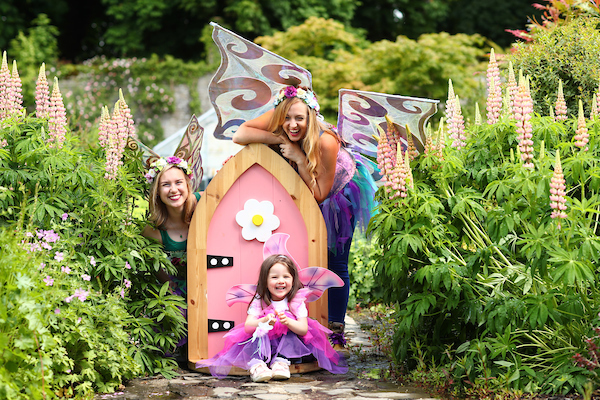 Bord na Móna, along with The Irish Fairy Door Company, have announced the return of the spectacular Fairy Festival in Lough Boora Discovery Park, Co. Offaly on Saturday 22nd July 2017. This year’s event promises to be even more exciting with a World Record Attempt for the largest gathering of Fairies in one stunning location. Fairy Wings and Wands at the ready! Kicking off from 12.30 – 3.30pm on 22nd July 2017, event-goers of all ages are encouraged to dress up in their best Fairy costumes and play their part in the first Irish World Record Attempt to have the largest group of fairies. Dee Ahearn, CEO of Barretstown said: We’re absolutely thrilled to be Bord na Móna’s chosen charity partner again this year. Family events at Lough Boora are always a fantastic family day out with children and adults alike speaking very highly of them. At Barretstown we must raise over €5 million each year to provide our life-changing programmes free of charge to children and families affected by serious illness. Having successful partnerships, like the one we have enjoyed for a number of years with Bord na Móna, means we can continue to provide our programmes to children and families, and for that we are so thankful. Connect with us on Facebook, Twitter, and Instagram to keep up with all event updates. Re-live Last Year’s Fairy Fun!